More than 40 years have passed since a military coup in Chile deposed the democratically elected government of President Salvador Allende. The death of Allende and the years of military dictatorship that followed have left deep scars in both the country and in Allende's immediate family. 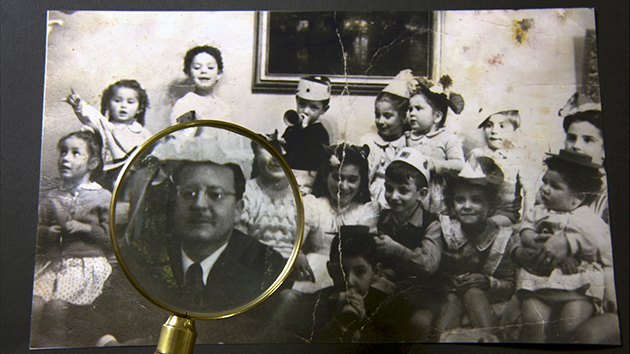 In BEYOND MY GRANDFATHER ALLENDE (ALLENDE MI ABUELO ALLENDE), his granddaughter Marcia Tambutti Allende goes in search of Salvador Allende the man. She attempts to reconstruct the past through informal interviews with her family, quickly discovering that they don't talk about "Chico," as he was affectionately known. Memories of him have been buried deep and seem too painful to drag up. Nevertheless, the filmmaker's aged grandmother slowly but surely becomes accustomed to her compassionate but sharp interviewing style and starts to talk more about Allende, her marriage and her role as the president's wife. Other members of the family, many of whom never knew Allende personally, also start to talk. Marcia goes in search of family photos and videos, and as a result we get to know the kind of man her grandfather was. 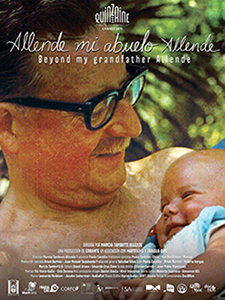 Winner of Best Documentary at the 2017 Latin American Studies Association (LASA) Film Festival, the film also provides a thorough impression of the complex political situation of the Allende family over the past 40 years. A comprehensive, accessible examination of the particularities of the Cuban economy. Filmmaker Ignacio Aguero's gentle exploration of home, family, history and Chilean society.